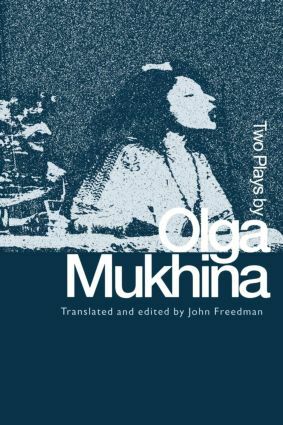 Olga Mukhina is one of the most talented, young playwrights in Russia. Born in Moscow in 1970, she has already garnered enviable praise from critics and audiences throughout Russia and Europe since her first play, Tanya-Tanya, was performed in 1996. Tanya-Tanya is an atmospheric, poetic tale that observes three couples at a suburban Moscow home who dance, drink champagne, kiss, fall in and out of love, and struggle with dignity and humor to keep some semblance of control over their lives. The parallels with Chekhovian drama are undeniable and clearly intended by the author. You, Mukhina's most recent work, is a love poem to her hometown of Moscow as well as a scathing attack on the apathy of people blindly wrapped up in their own happiness and sorrow.